Did your Mom and your teachers at school teach you to say please and thank you? Did they teach you to greet people politely and be friendly? Did they teach you if you can’t say anything nice about someone not to say anything? Did they . 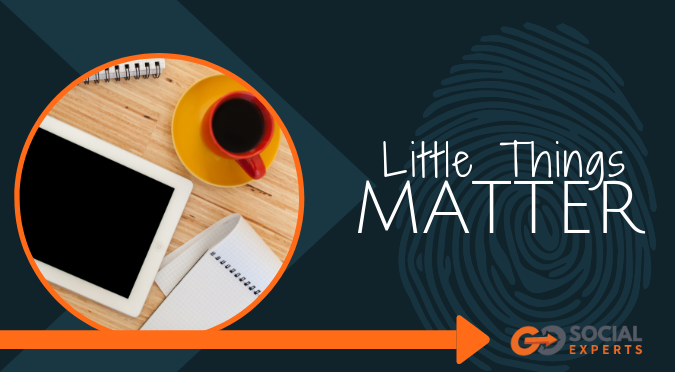 . .
Well believe it or not all of these things matter with online marketing and more. You never know what is going to make an impression on someone that encourages them to decide to accept your free gift and give you their email, or more importantly to buy your product or purchase your services over one of your competitors. 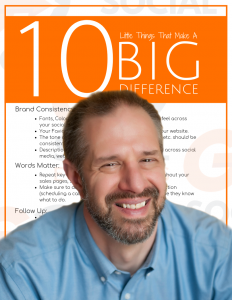 In the online marketing world, there are several little things that can make a big difference in your results. Does your landing page have the same feel as the other pages on your site? Favicon on your landing pages, does it match your website? What tone of messaging are you using? What kind of follow up are you using? What is the tone of the follow-up messages? Wow, how do you keep track of it all? Looking at the list It can feel overwhelming. The key to making it easy is to have a checklist that you run through when you’re ready to start something new. Once it’s set up and you’ve done this a few times, most of this will become second nature. Over the next few articles, I’ll go deeper into each of these with examples of what each of these is and some examples of what to do and what to avoid. If you’d like a downloadable copy of the checklist Click Here to download it now. Take a look at the list and rate your social media pages and your online marketing system. P.S. If Facebook isn’t bringing you a steady stream of new customers consistently and predictably it’s time you put in place a system to make that happen. You can get started with a free Discovery Call. We’ll look at your online presences and evaluate what needs to change. Click Here to select an open time slot.